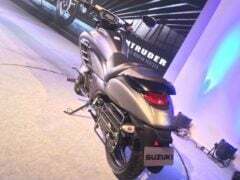 Suzuki Motorcycle India Pvt Ltd (SMIPL) recently launched the Intruder 150 cruiser motorcycle. 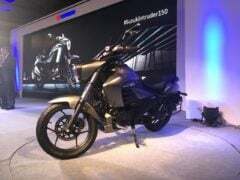 The latest model shares its engine with the Gixxer 155 streetnaked motorcycle. Hence, the entry-level cruiser gets the same 155cc, carbureted motor with a peak power of 14.5 BHP at 8,000 RPM and a peak torque of 14 Nm at 6,000 RPM. Power is sent to the rear wheel via a 5-speed Manual Transmission. At the launch event, the company announced that it will launch the fuel injection model within six months of time. We are guessing that the Suzuki Intruder 150 FI will be put on a show at the Auto Expo 2018 and launch by May next year. 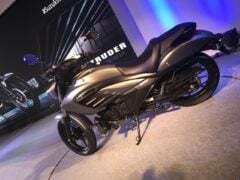 The Gixxer-based Intruder 150 has gone on sale at an ex-showroom price of Rs 98,340. Going by our estimates, the Fuel Injection model will make the new bike costlier with a price of roughly Rs 1.10 lakh. At this price point, the Intruder 150 will get almost as expensive as some 200cc offerings. However, it will try to justify the premium price by offering more features and a striking design. The Intruder 150 takes plenty of design inspiration from the Intruder M1800, which is heralded as the big daddy of power cruisers. The new model looks all set to make the entry-level cruiser segment more popular in India. The Suzuki Intruder 150 FI will share its engine with the Gixxer SF FI model. We are hoping that the company would re-tune the motor to suit the characteristics of the new cruiser. However, power, torque, and most other specifications will remain bog similar. The engine will offer a maximum power of 14.6 BHP at 8,000 RPM and a peak torque of 14 Nm at 6,000 RPM. The engine will be mated to a five-speed manual transmission. While only a slight improvement over the carburetted engine in terms of power, fuel injection will ensure higher refinement. Like we said, the engine will come from the Gixxer SF FI. Hence, even the mileage remains mostly the same. This 154.9cc engine offers roughly 55 kmpl on the highway and around 50 kmpl in urban riding conditions. 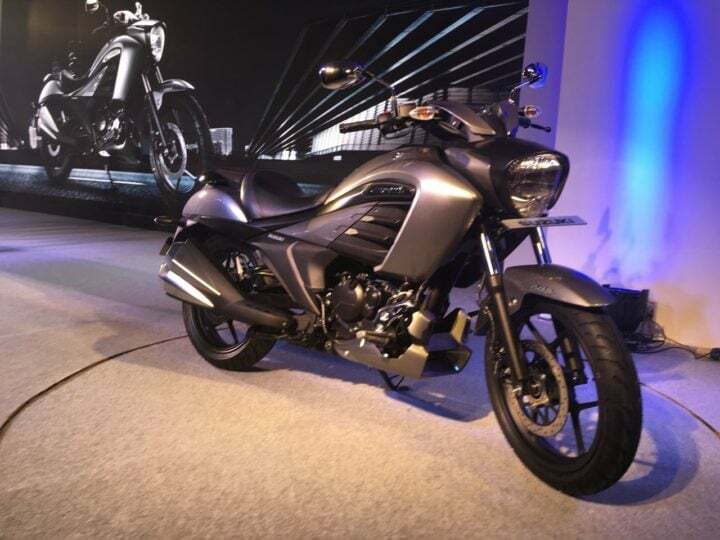 So, are your waiting for the launch of the new Suzuki Intruder 150 FI model? Do you think it will be able to justify the high price tag? Let us know by commenting below.